In his first season, Andy Enfield led USC to an 8-8 record at the Galen Center but all eight of those losses were in Pac-12 play. 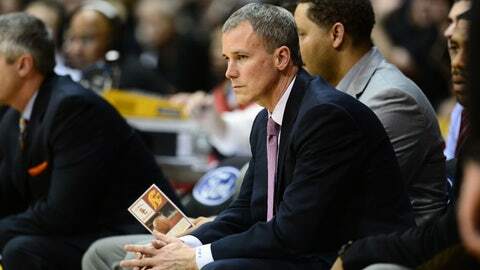 LOS ANGELES — Sadly, Andy Enfield has seen this movie before. Turnovers are nothing new. USC averaged a Pac-12 worst 14.4 turnovers per game entering Saturday’s home finale against Oregon. When they needed to care for the ball the most, they threw it away in their 78-63 loss on Senior Day. With a 10-game losing streak, including the final six at home, the first year of the Andy Enfield Era is over, at Galen Center anyway. Heading into the final weekend of the regular season, year one hasn’t gone nearly the way Enfield anticipated. "I’m disappointed we’ve only won one (conference) game," he said. "Everyone is frustrated we haven’t won more games but it’s not from a lack of trying or effort." The season has been trying to say the least. Enfield has a "streaky team" from an offensive standpoint. As a result, they’ve often found themselves close in games only to allow mistakes to rear their ugly head at crucial moments. "You can withstand a four or five or six-point runs but it’s hard to withstand a 11-0 or a 14-2 and that’s what’s happened in most of our games this year when we go on either a dry spell on offense, where we can’t score or have trouble scoring or turn the ball over or some defensive lapses and it hurts us," Enfield said. Looking at the numbers, Saturday was actually an âimprovementâ in the turnover category. The team finished with 12 in the game which is below their season average. They had just four turnovers in the first half. Oregon (20-8, 8-8 Pac-12) ended the game on a 17-3 run, thanks to the Trojans inability to take care of the ball late. Locked inside a one possession game, trailing 63-60 with 8:52 remaining, USC (10-19, 1-15 Pac-12) turned the ball over six times from that point on to end the game. "You can’t turn the ball over and it was really unforced turnovers," Enfield said. "Oregon ramped their intensity up but at the same time we need to make basketball plays. Usually a turnover leads to a shot at the other end. They got a couple of transition baskets and it really hurt us." For Enfield, it was the same movie.